Following on from last week’s article on the Dutchmann Weekend Racer, we give you part two, explaining a little bit more on the Dutchmann Guild as a whole. When asking ‘What does the Guild actually do?’ Dutchmann describes itself as follows: “We connect master craftsmen with contemporary designers & artists, creating collaborations that fuse craft-based practices with progressive ideas.” The guild creates beautifully engineered products, with an incredible amount of attention to detail, for people who appreciate the craft, by people who appreciate the craft. The objective was to develop unique collaborations that would highlight the high level of quality craftsmen they have in South Africa. Founder, Gavin Rooke, felt that a contemporary design/art ‘twist’ would make people look closer at certain crafts (and craftsmen) that they would normally not notice. The aesthetic impact of anything touched by the Guild hits you straight away; Classic, yet contemporary. Striking, yet subtle. 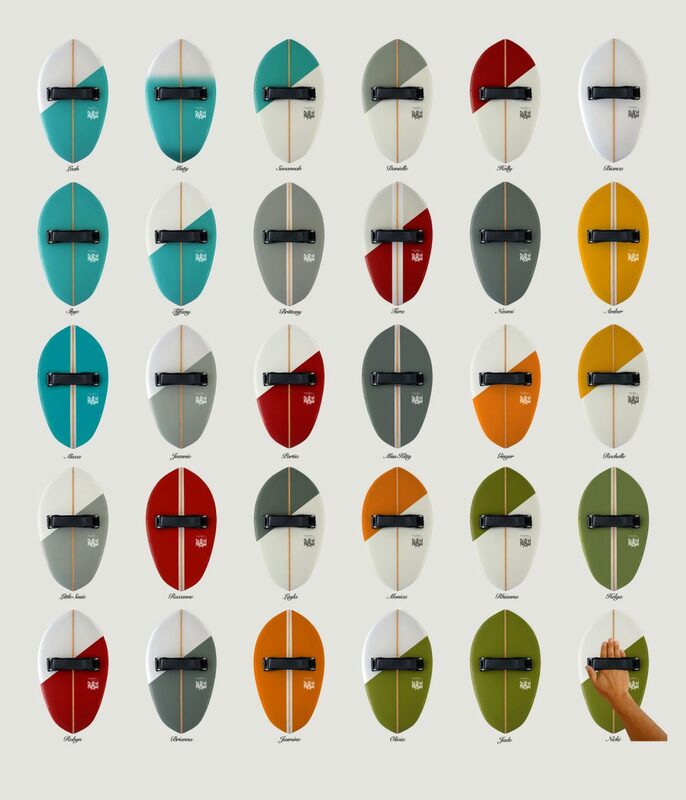 Its care, attention and craftsmanship all comes together in each one of their diverse range of products, running across a few industries, including surfboard shaping, illustration, motoring, bicycle building and design. The name ‘Dutchmann’ comes from the term ‘Dutchman’ often derogatorily applied in the past to blue-collar South African artisans, and refers to the Dutch-settler ancestral roots of various South African families. They wanted to take that relatively negative perception and flip it to represent a positive, intangible ‘guild’ of craftspeople, with a network of twenty-odd designers who they call on. 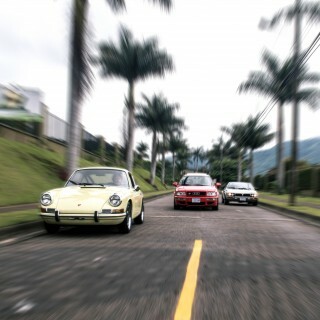 The reality is that 95% of Dutchmann’s output is now Porsche-based. The Guild didn’t plan this, but it’s turned out that way based on the success of the 912 Weekend Racer (and the recent launch of the WRS). There’s certainly a pleasing aspect of authenticity to this fate–as opposed to a marketing-engineered brand story. 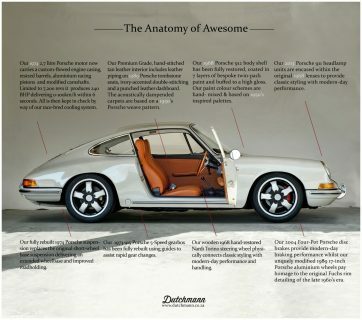 Uniquely, Dutchmann doesen’t build cars to a client specifications; they identify Porsches they want to build, and clients must concur before ordering a vehicle. Dutchmann handles the underlying concept, design, and specifications for each car they build. First identifying the underlying model for a project and determining ‘conceptually’ what the resulting story will be. 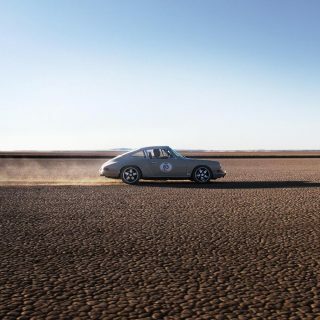 This may be the ‘Weekend-racing’ heritage of the 912, the lightweight nature of the ‘73 RS, a celebration of the Targa roof, or even the highlighting of the true beauty of the impact bumper. They told us this may eventually change, but it’s how it works at present. 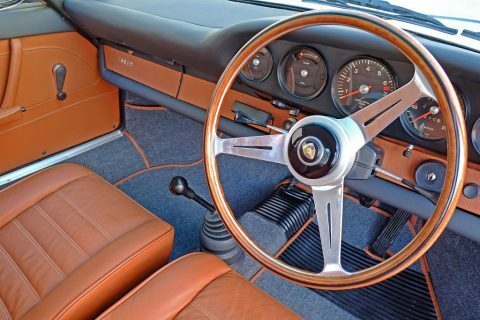 Whilst the Guild will continue to produce a range of craft-meets-design-inspired products, inevitably, they will take on a progressively more ‘Porsche-related’ spin. One of the reasons the Guild is able to produce such high calibre vehicles is that network of individual craftsmen focused specifically on what they are good at. For example, one member is a highly skilled, experienced restorer–but doesn’t pretend to be a body specialist, nor an interior specialist, nor a carbon specialist, etc. These roles are handled by respective experts. 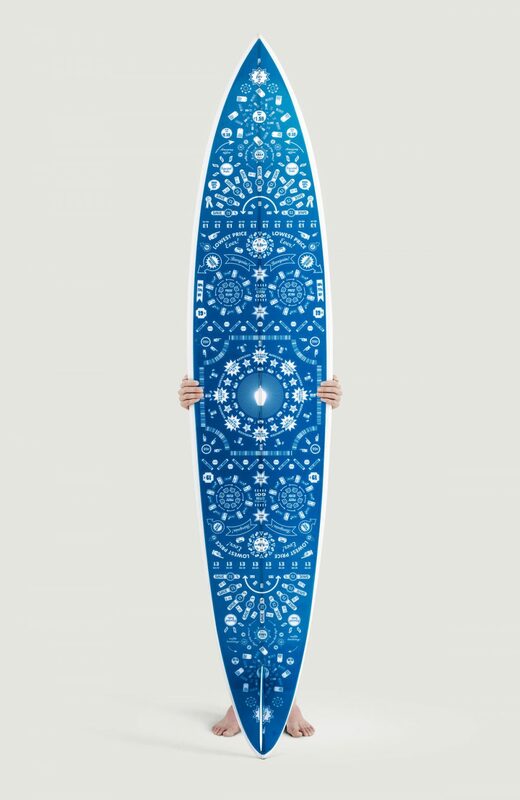 The first collaboration was with sixty-five year old surfboard shaper Spider Murphy, who revolutionised the world of surfing in the mid 1970s when he shaped a 7’10” ‘Pipeline Gun’ surfboard that helped Mr. Shaun Tomson to win the 1975 Hawaii Masters. 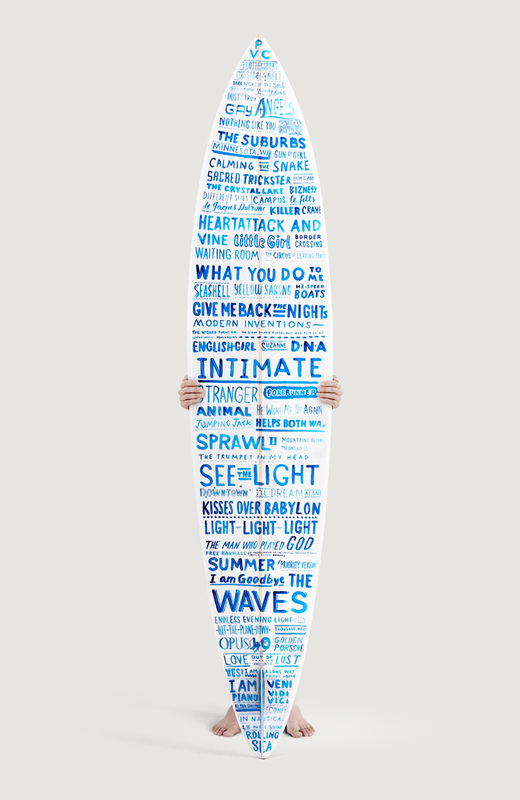 The revolutionary shape of the board transformed the surfing landscape across the globe. They approached Spider to make ten hand-formed replicas of the ‘75 ‘Pipeline Gun’ and then invited ten artists and designers to apply artwork to each board. These artists/designers were chosen on merit and included local and international names (the likes of Mr. Jonathan Barnbrook (UK) who designs the likes of David Bowie’s album covers). The artists were asked to work within the theme of Delftware, limiting their palettes to the cobalt hues which gave the 16th Century Dutch style of pottery its distinctive appearance. The end results, displayed at the Johannesburg Art Fair, featured heavily in local and global press and to some extent elevated Spider’s profile as a master craftsman. The gravitas of the artists ensured the world would notice more of the the underlying brilliance of the craftsman. And it worked. The boards were sold as signed and editioned artwork and proved commercially successful with sales coming in from across the globe. Importantly, Gavin wanted to steer clear of any ‘nostalgic’ positioning of these craftsman. 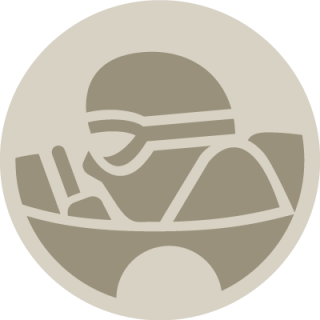 In line with this objective they developed a more accessible, contemporary surfing product (a hand plane called a ‘Hand Gun’) with Spider. The resulting hand plane was designed by Spider using 3D technology and 30 were then individually hand shaped – onto which their designers applied a unique colour palette and an exotic dancer-inspired naming convention. ‘Misty’ is blue. ‘Roxanne’ is Red. ‘Jade’ is green. ‘Bianca’ is white. 30 signed and editioned models were then sold and have since been shipped across the world. Spider is sixty-seven years old, he still shapes boards everyday and is humble about his genius (a trait invariably found in most of the best craftsmen). “A key component of our approach to all projects is to astutely mix the old and the new. New for the sake of new is as pointless as old for the sake of nostalgia,” Gavin explains. The Vicious Cycle (and Porsche projects) are testament to this. He identified one of South Africa’s most accomplished bicycle frame-builders, Mr. Duncan MacIntyre and merged him with one of their leading composite specialists Mr. Anton Dekker. Duncan built frames from the early 1970s whilst Anton runs a specialist composite workshop producing bespoke carbon components for brands such as Porsche, Lamborghini, and Ferrari. The frame, made from Reynolds 653 and Columbus steel tubing renown for its impressive strength-to-weight ratio and ‘feel’ for the track, was hand brazed by Duncan for competitive use in the Track World Championships in the mid-1980s. The guild then stripped it down and coppered the key joins to highlight the craft involved. 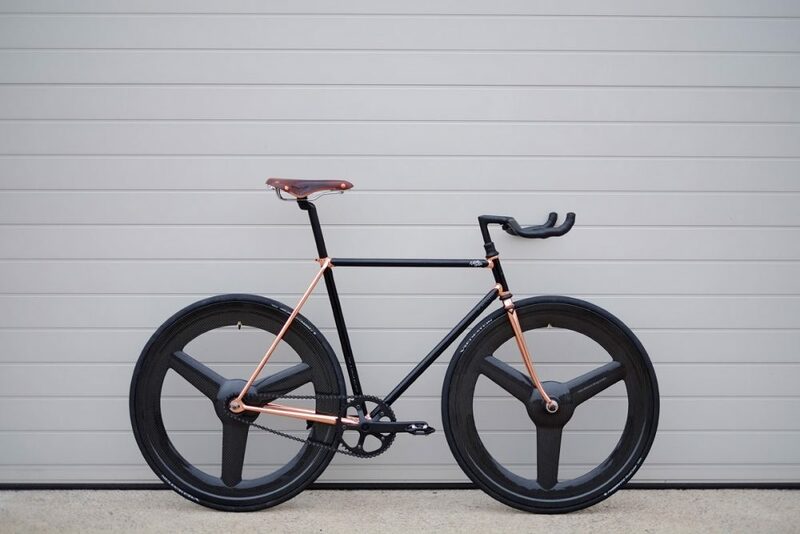 Anton then designed and custom-built a set of tri-spoke Carbon-Kevlar wheels. The result is a head-spinning combination of old and new–with the best of classic and contemporary technologies put to their best use, freaking out the flat-white fixie-purists as much as the contemporary road racers in equal measure. Duncan now trains the SA National Team and prepares them for the likes of the Olympics. Gavin’s dealings in the art world lead him to a master darkroom printer, Mr. Dennis Da Silva. The world focuses on the photographer, whereas a printer can make or break the end-result. Much like the ‘engineer behind the architect’, Dennis prints for the photographic elite and makes the dream a reality. So, the ‘Monochrome project’ was launched to raise Dennis’ profile. The Guild identified iconic, manual film cameras and boxed them with a roll of film with a self addressed envelope to Dennis. All part of the deal. You point, shoot, send – and Dennis sends back a selection of hand printed 8×10 photographs. Additionally, they commissioned one of South Africa’s leading designers, Mr. Warwick Kay, to design the ‘10 Iconic Film Cameras’ Portfolio. 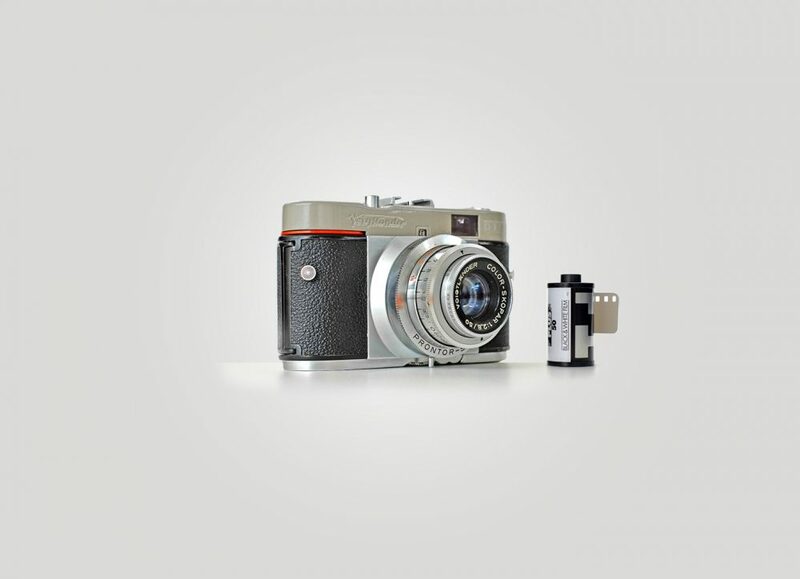 We love the simplicity of the design that celebrates the amazing cameras that changed photography. Tim is responsible for restoration. He’s South Africa’s best by a long margin with many years of experience of his own and many alongside and learning from his father John. Tim runs a dedicated team of eight people from a workshop where he lives. 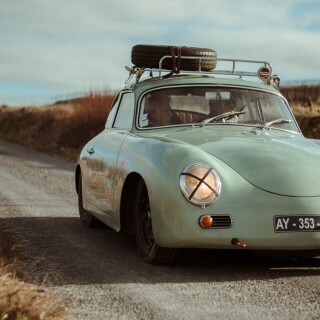 Tim practices what he preaches; He’s highly active in Porsche racing (often in his father’s pristine 356 A GT) and he owns a mint 911 S.
Tim’s the first to put these cars through their paces and is very well regarded in restoration circles. Andrew runs SBP–a body shop based in Sandton, Johannesburg. His team focus purely on the body work. Mr. Mike Gultig is the SBP craftsman who manually shaped the 912’s rear fenders (in steel) to ensure minimum flare. A true gent; Superman can bend steel with his bare hands, so can Andrew. David runs a very small automotive trimming workshop called Soft Top Trimmers. 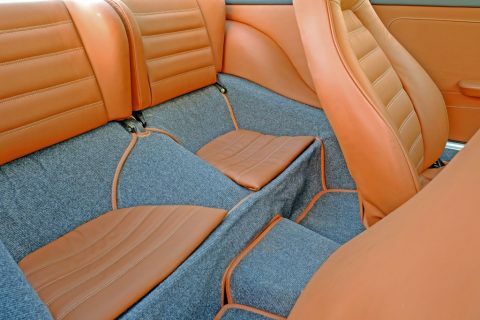 He knows the weave, binding, pattern, and grain of every Porsche interior, Dutchmann builds. Soft Top Trimmers are world famous for their bespoke soft tops for AC Cobras too. David is one cool guy – in an unpretentious package. The aforementioned Anton runs a highly specialized composite workshop in the northern part of Pretoria. 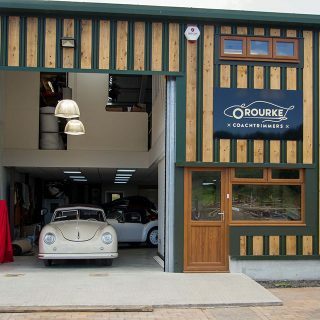 He is legendary in racing local racing circles, with the majority of his work commissioned by racing drivers wanting bespoke panels for increased performance. He also produces components for Lotus, Lamborghini, and Ferrari at a local level. With a soft spot for speed, he accordingly features in practically all of the Guild’s Porsche projects and bespoke carbon components. Anton is the guy who says “Yes – we will make a plan’. And he always makes it work. As cool as this build is, it has NOTHING to do with a 912. 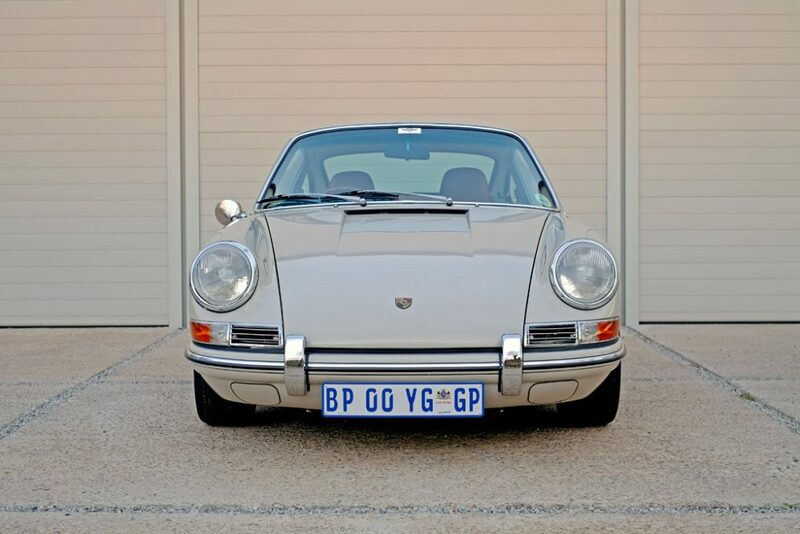 Putting a six cylinder in a 912 makes it a 911, period. 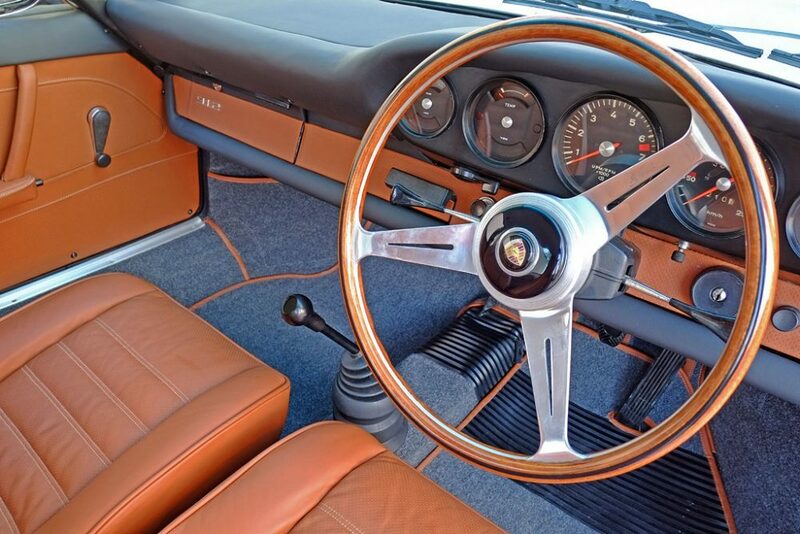 They only used a 912 body because it was cheeper than using an early 911. 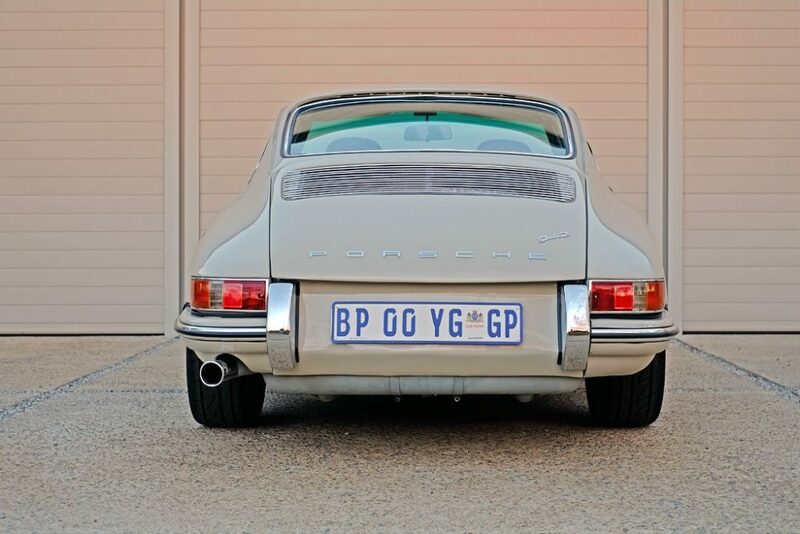 So labelling it as the “cleanest 912 ever” really seams blashpemous to me as a 912 owner. But that’s just nitpicking, I still love the content on this site! I have not seen the bicycle or surfboards but I have seen the car up close. I’ve also seen it being raced. It’s awesome! While I don’t know Gavin personally, I do know some of the people involved with this build. While the concept is wonderful, in my view it was poorly executed and is not as beautiful or as “special” as is puported. Having been a longtime fan of Petrolicious, and having watched the achingly beautiful films made of truly incredible cars and their uber-cool custodians over and over again, I feel that this car doesn’t belong here. Having said that though, I’m happy Tim Abbot and his team are getting exposure – they’re ace! 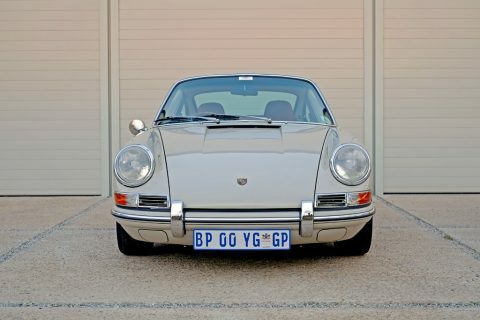 As a huge Porsche enthusiast for over 40 yrs I am very impressed with this 912. I agree, the first thing that came to my mind was “Singer” as well. But not so much to the incredible attention to detail as Singer. But this example of modernized (improved) 912 is stunning. And it’s done tastefully. 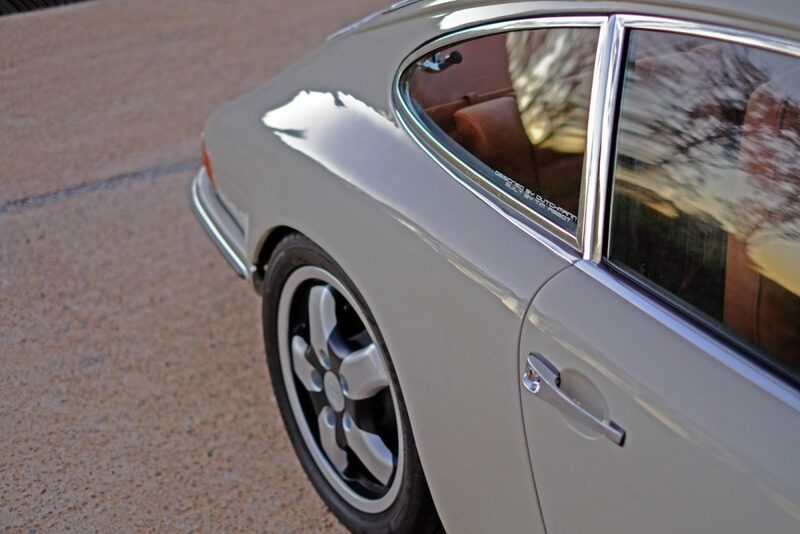 The important thing to remember here is that this 912 has been kept alive and even improved. There’s nothing wrong with that. And this example might even be more affordable than a beautiful Singer. 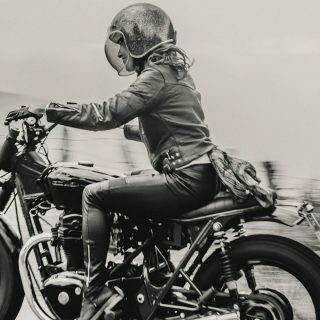 Another amazing article by Petrolicious. 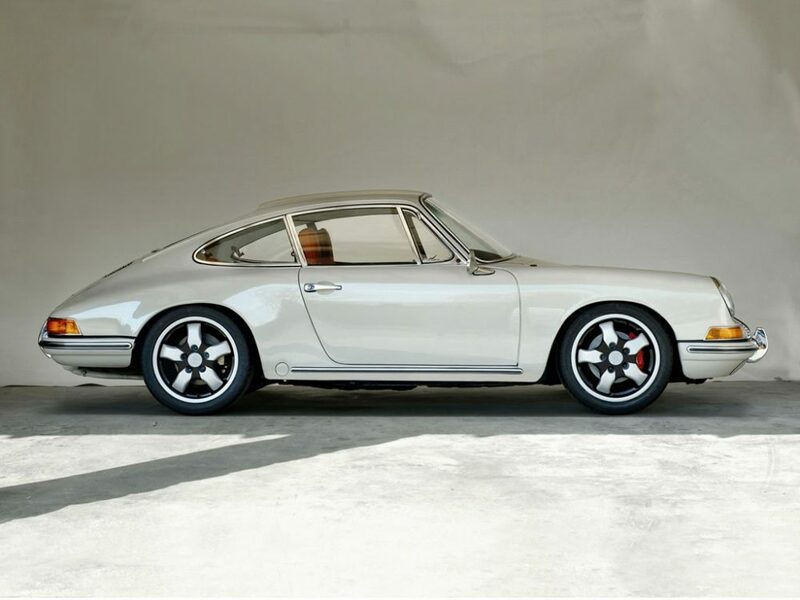 Maybe I’m off a bit here to but you take a near-perfect car ( the early Porsches, at least to me, are one example) and make it just a bit more “perfect”…what’s wrong with that? Hell, I’d do it if I had the money. Hi TJ. Maybe I’m wrong – but you appear to fall into that sorry category of idle critics that live their dreams vicariously through blog comment threads. Shaped a board? I doubt it. Built a Porsche? I sincerely doubt it. The Internet has a term for you : ‘Hater’. But hey, sorry – maybe I’m wrong. Agreed. I’m plenty impressed with the car. It’s like a much less insane Singer. Completely random thought: Those new wheels Magnus released would look great on the car as they are a fresh update on the Fuchs but look a bit more vintage.